Twenties And Fabulous by Kristen Berk: Highlights Of My Week: Beauty, Events & Food! 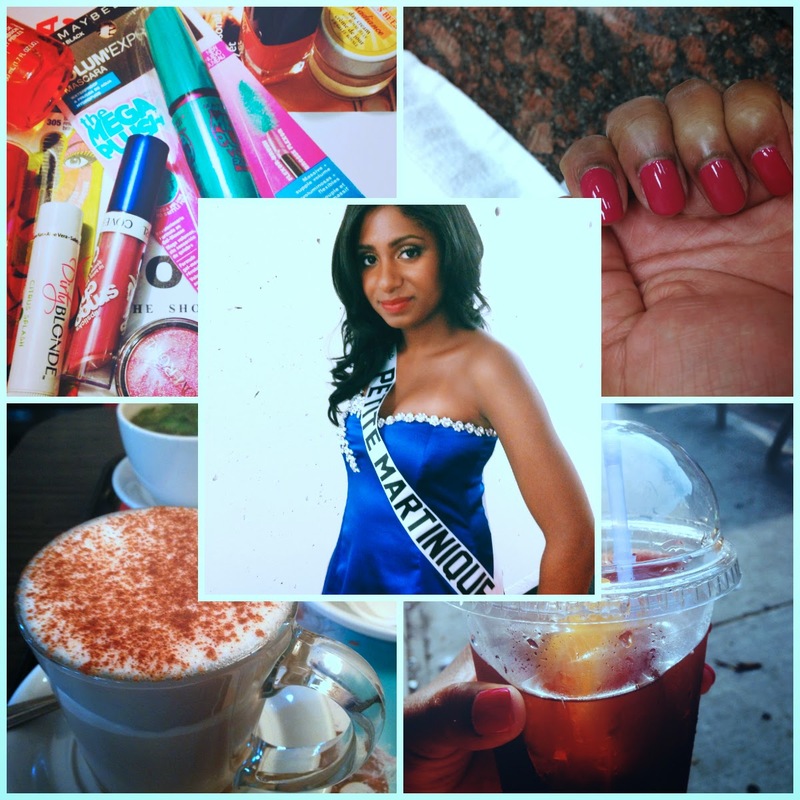 Highlights Of My Week: Beauty, Events & Food! events I recently attended. Here are some of my highlights! Top left: Here is a look of some of the makeup goodies I received from an event I recently attended. As you can see the company that gave away these gift bags was extremely generous as they gave away great quality beauty products. Some which include brands like: Burt's bees lip balm tinter, OPI nail polish, Cover Girl eyeshadow and much more! Top Right: I recently decided to get a manicure as I usually do my nails myself, and decided to treat myself this time. The colour I am wearing is an OPI colour called Koala Berry. I chose this colour because it is such a beautiful colour for the summer and I like adding a pop of colour to my nails. Center: I recently participated in a pageant and wanted to share a picture that was taken at the event. As well, my previous post discusses why I decided to participate in a pageant and my experience of the overall event. Bottom left: One of my favourite hot beverages is the chai latte that is available at a cafe in Toronto that I often go to called Aroma. It's a great drink with the perfect balance of cinnamon and spice. I highly recommend this drink if you ever get the opportunity to try it. Bottom right: Another fantastic beverage I enjoyed was this homemade ice tea that I bought while attending a street festival in Toronto. Notice the big slice of lemon that is placed in my drink. It's such a refreshing drink for the summer. I could honestly drink it every day- it is just that good! Maybe I can learn a good recipe and share it in a future post with everyone. I hope you enjoyed the highlights of my week! Please feel free to leave a comment below and don't forget to Follow my blog with Bloglovin!